Our brain is fried from post ‘Yes’ vote hangovers and being forced to work five whole days this week, and yet we still managed to whip up this tantalising Agent Wrap. Queensland tourism’s finest will be celebrated in the heart of the state’s holiday capital with The Star Gold Coast unveiled as host destination of the prestigious Queensland Tourism Awards for 2018. The sunshine state’s best of the best in tourism will be on show on the Gold Coast next year as the iconic Broadbeach property further cements its reputation as a hotspot for major events on the national and international calendar. Operating for 33 years, the Queensland Tourism Awards are hosted and coordinated by the Queensland Tourism Industry Council (QTIC) and acknowledge and showcase the outstanding achievements of the state’s tourism industry, including individuals, businesses and events, across 30 categories. Santa Monica Travel & Tourism has officially touched down (under) for their annual Australian trade and media roadshow. 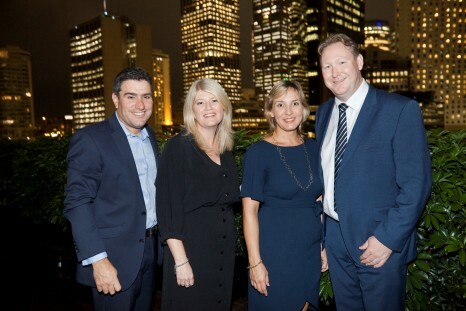 The team from SMTT will be in market for a series of trade and media appointments and events set to take place across the key markets of Sydney and Brisbane. Attending from Santa Monica Travel & Tourism will be Todd Mitsuhata Manager Asia Pacific & Latin America along with Gerry Peck, General Manager Shore Hotel, Santa Monica and Dustin Hess, Director of Sales and Revenue Management, Shangi-La Hotel, Santa Monica. 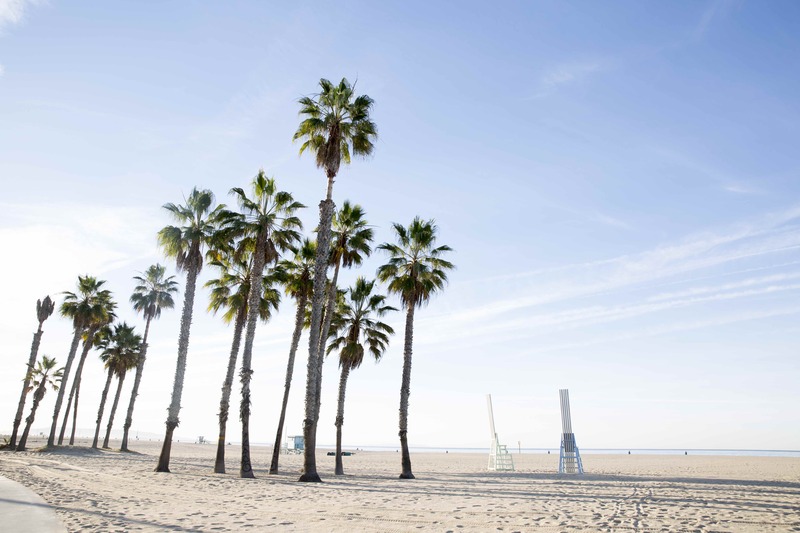 The Roadshow will aim to further illuminate Santa Monica’s unique city/beachside location and diverse visitor offerings. Representing the perfect affinity with Australian travellers, the roadshow will also promote the destination as the prime base for a visit to the greater Los Angeles area. 1998 will always go down in history as the year Contiki introduced the greatest agent incentive, ROCK Around the World. 20 years later Contiki is looking into the future, uniting top selling agents this July at the biggest music festival in Europe – Belgium’s Tomorrowland! 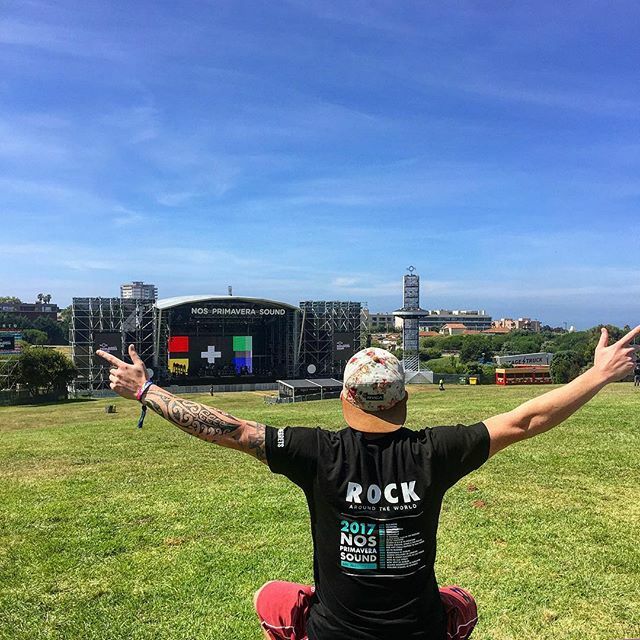 In honour of ROCK’s 20th anniversary, Contiki has also announced that they will be rewarding spots dedicated to ROCK Alumni and Area Managers who have supported the brand for years. In 2018, a record 32 lucky Australian agents will experience an epic 10-day ROCK Around the World, including a 7-day Contiki trip around Europe with 3-days of festival access on a Tomorrowland Full Madness Comfort Pass – with hotel accommodation and access to VIP zones at the festival. To experience the best music festival in the world, all agents have to do is sell a minimum of 10 2018 trips to go into the draw. #EveryBookingCounts, any trip length, any destination, departing in 2018. Murray River Walk, the 10th member of Great Walks of Australia, has won the South Australian Tourism Award for Ecotourism after completing only its second season of guided walks along the spectacular Murray River. Launched in 2016 to enable walkers to experience the magic of the Murray River, Managing Director Tony Sharley said it has been his lifelong mission to help people discover the beauty of the Murray River, its stories, food and wine and new stewardship. This award recognition is validation that we are winning for the river and its communities, celebrating our nature and diversifying the river economy. Mr Sharley thanked Great Walks of Australia for the privilege to be a member of a group of the most outstanding multi-day walks in Australia. He thanked the MRW Guiding Team whose passion for South Australia, the Riverland and the Murray River helps to create the magical four day and three night walking experience along Australia’s mightiest river. 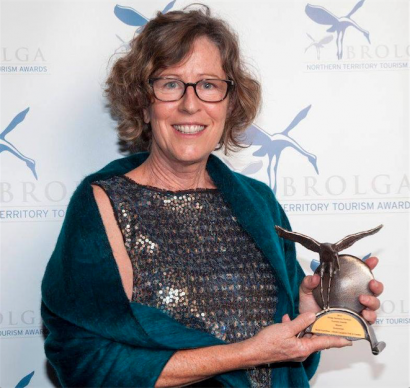 For the second consecutive year, Australian adventure travel specialist, World Expeditions, has won the Northern Territory Tourism’s prestigious Brolga Award for its Classic Larapinta Trek in Comfort. World Expeditions won the Ecotourism award, which is the industry’s highest accolade and recognizes the NT’s best products and services, and qualifies the company to compete in the upcoming national awards. 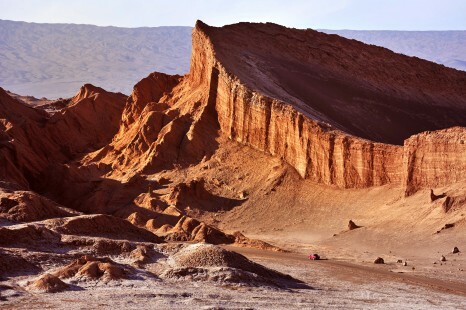 According to World Expeditions Public Relations Manager, Michele Eckersley, the company is thrilled to be recognised for its ongoing commitment to providing an outstanding trekking experience while minimising the impact on the environment. 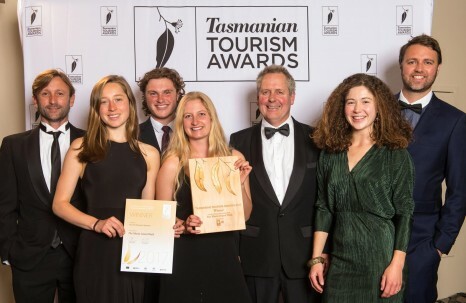 Tasmania’s Maria Island Walk, a four-day guided walk through the World Heritage listed island off the east coast, was awarded Gold in the Tour and Transport category and silver in Adventure Tourism at the Tasmanian Tourism Awards held on Friday 10 November in Hobart. The team are now looking to repeat their success at the Qantas Australian Tourism Award in February 2018 where they have previously won the Best Tourism and Transport category in 2008 and 2011. Now in its 15th year of operation, the Maria Island Walk showcases the best wombat and kangaroo viewing opportunities in the world, with the island described as a ‘Noah’s Ark’ of rare Tasmanian animals including the Tasmanian Devil. It is included in the Great Walks of Australia and a founding member of the Australian Wildlife Journeys group. 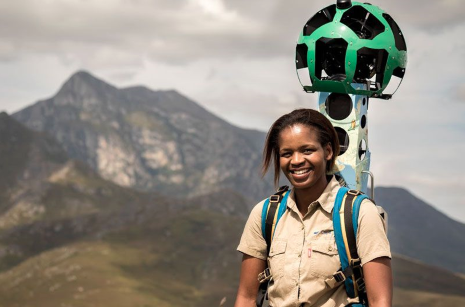 ​A​ ​team​ ​of​ ​nature-loving​ ​South​ ​Africans​ ​in​ ​partnership​ ​with​ ​Google​ ​Street​ ​View​ ​and South​ ​African​ ​Tourism​ ​have​ ​released​ ​a​ ​large​ ​collection​ ​of​ ​360-degree​ ​imagery​ ​of​ ​the​ ​country’s​ ​wildest areas.​ ​The​ ​announcement​ ​of​ 170​ ​new​ ​trails​ ​in​ ​South​ ​Africa’s​ ​national​ ​parks​ ​and​ ​reserves​ ​follows​ ​on​ ​from The​ ​Mzansi​ ​Experience​ ​launched​ ​in​ ​March​ ​2016,​ ​which​ ​showcased​ ​prominent​ ​tourist​ ​attractions​ ​such​ ​as Kruger​ ​National​ ​Park,​ ​Table​ ​Mountain​ ​and​ ​Cape​ ​Point​ ​amongst​ ​others. The​ ​new​ ​trails,​ ​launched​ ​today,​ ​extend​ ​the​ ​existing​ ​Street​ ​View​ ​imagery​ ​of​ ​South​ ​Africa’s​ ​wilderness areas​ ​to​ ​include​ ​all​ ​19​ ​national​ ​parks,​ ​17​ ​previously​ ​‘un-trekked’​ ​nature​ ​reserves​ ​and​ ​many​ ​sites​ ​of natural,​ ​cultural​ ​and​ ​historical​ ​significance​ ​in​ ​all​ ​nine​ ​provinces​ ​of​ ​South​ ​Africa. More​ ​than​ ​200​ ​South​ ​African​ ​volunteers​ ​from​ ​across​ ​the​ ​country​ ​were​ ​involved​ ​in​ ​the​ ​12-month​ ​project, mapping​ ​out​ ​the​ ​parts​ ​of​ ​South​ ​Africa​ ​that​ ​they​ ​call​ ​home.​ ​Many​ ​were​ SANParks​,​ CapeNature​ ​and​ KZN Ezemvelo​ ​Wildlife​ ​rangers​ ​and​ ​guides.​ ​Others​ ​were​ ​avid​ ​hikers,​ ​nature-lovers​ ​and​ ​tech​ ​enthusiasts. 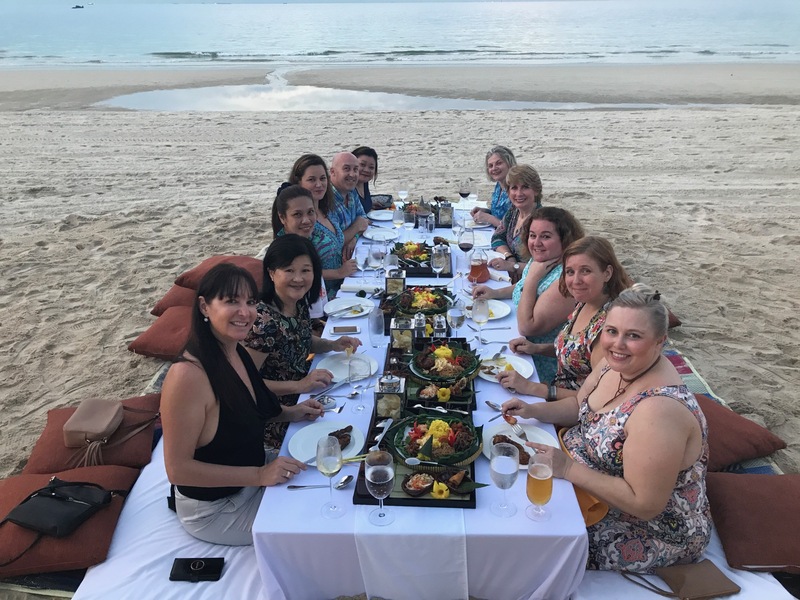 As part of the company’s ongoing commitment to product knowledge through first-hand experience, TravelManagers, in conjunction with Viva Holidays and Singapore Airlines, recently sent eight personal travel managers (PTMs) on a six day famil to Singapore and Bintan. On arrival in Singapore the group were taken to the Novotel Clarke Quay where they were to spend the next two nights, and after a free evening, they spent the next morning on a guided tour of some of the city’s foodie gems. As well as sampling some of Bintan’s top eateries, the group had the opportunity to inspect several resorts, a beach club and the newly returfed Laguna Golf Course and Club. Early morning yoga and an afternoon of kayaking and windsurfing were also offered for those who were not content to spent their free time poolside. On their second night in Bintan, the group were treated to dinner at Banyan Tree Bintan’s signature restaurant, Kelong, which is a traditional fishing house that is built on stilts out over the water and serves fresh local seafood in a spectacular setting. 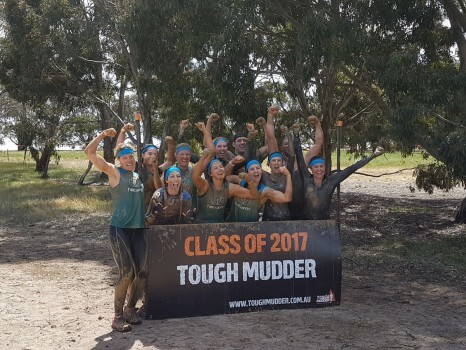 Helloworld Travel staff took on the Tough Mudder challenge on the outskirts of Melbourne recently, hitting the 9km course filled with mud and obstacles, testing out their teamwork and toughness. Working with official charity partner beyondblue, the event aims to promote the importance of mental health and exercise as a great way to achieve it. Taking part in the challenge were Helloworld Travel representatives Anthoney Woodyard, Group General Manager – Business Systems & Applications, Kellie White – Senior Procurement Manager – Government & Corporate, Christie Fekete – Advertising & Promotions Executive, Wholesale, Samantha Waldron – Senior Destination & Procurement Manager – New South Wales & ACT, Jayleen Cash – Senior Product Executive, AOT Inbound, Marlene Bogard – Content Team Leader, Melbourne and Abbey Quinn – Assistant Operations Manager, Government Services. 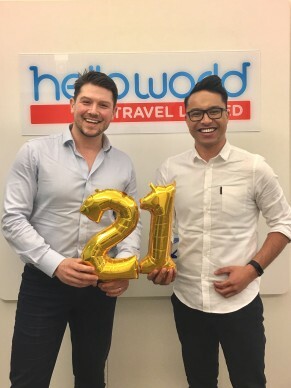 Helloworld Business Travel and Serko deal turns 21! Helloworld Business Travel (HWBT) is delighted with the success they have shared with Serko through their combined technology partnership and offering, celebrating the signing-up of the 21st HWBT agent to the deal. Over 30 per cent of the network has now adopted Serko’s corporate Online Booking Tool (OBT) solution and the partnership looks to continue in strength as Serko release their premium platform, Zeno, in the coming months as well. From the initial agents using Serko, the HWBT network has increased its online technology adoption by an impressive 60 per cent in just seven months. That includes a number of agents who have taken up the branded mobile app – a cost effective and great way to stay connected with the traveller 24/7 that presents a modern service offering. A group of the agents have also taken up the HelloworldBusiness.travel SME Tool, a new low investment, cost effective way to grow their customer base of clients who traditionally book online direct with suppliers. Next Thursday 23 November, will see more than fifty women come together at the Stamford Plaza Melbourne, to learn leadership lessons from three guest panellists at the first Melbourne Women in Tourism Leadership Lunch event. Corina Black, General Manager Sales, Commercial and Marketing at the Australian Grand Prix Corporation, Anne Jamieson, Director of Customer Experience at Melbourne Convention and Exhibition Centre and Melanie de Souza General Manager Digital, Marketing Services and Strategy at Visit Victoria, will take the stage to discuss their career pivotal leadership moments. Along with a two course lunch with wine, guests will enjoy quality networking and stellar lucky door prizes include the chance to win a luxury overnight accommodation & breakfast package for two people at The Byron at Byron Resort; a Twin pack of award-winning Oakridge Wines or a Rodan & Fields Skincare pack donated by Tania Walker, R&F consultant. A family getaway to the heart of the stunning Kimberley region has never felt more achievable, with El Questro’s Kids Stay and Eat Free offer – available to guests travelling to the property between May and September, 2018. Open to guests booking two or more nights at the majestic, tented-cabin style accommodation of Emma Gorge, children under 12 will stay free of charge and enjoy complementary buffet and a la carte breakfast and dinner throughout the entirety of their stay. The safari-style tented Emma Gorge Cabins offer comfortable and affordable accommodation, each equipped with private ensuites and essential at-home amenities, not to mention a nearby swimming pool and onsite restaurant. El Questro is the ideal destination for travelling families, with majestic natural landscapes and countless activities to suit children of all ages. 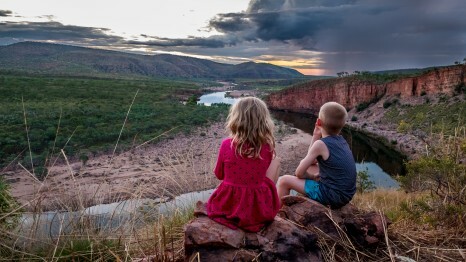 Whether it’s relaxing in the water of El Questro’s thermal Zebedee Springs, trekking to some of the nation’s best swimming holes, exploring the Gorges on horseback, or trying your hand at one of the many fishing locations – there’s a unique itinerary for every family. For the third year in a row, guided holiday specialists AAT Kings are celebrating a double win at this year’s 2017 Brolga Northern Territory Tourism Awards which were held on Saturday 11th November at a ceremony in Alice Springs. These annual awards are designed to recognise tourism operators, industry suppliers and individuals who contribute to the tourism industry in the Northern Territory. The AAT Kings team is delighted with its achievements this year, taking home the highest accolade once again in these two categories; Tourism Restaurants and Catering Services and Major Tour and Transport Operators. 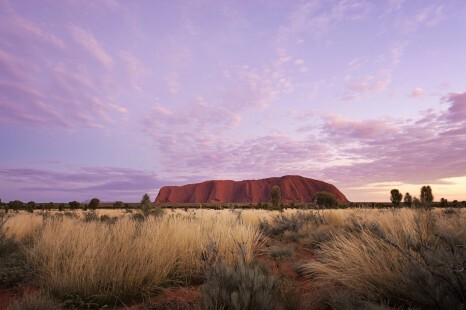 AAT Kings took home a fourth consecutive win for Tourism Restaurants and Catering Services for its Uluru Barbecue dinner which guests can enjoy under a canopy of stars after a magical sunset over Uluru. 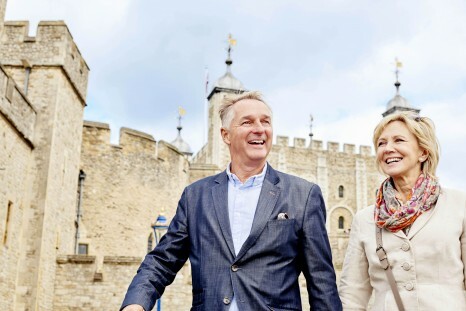 At the same time, AAT Kings continues to celebrate with a fifth consecutive win as Major Tour and Transport Operator recognising major contribution to tourism through a combination of touring and transport services. ‘Tis the season for the Australian Society of Travel Writers’ final lunches of 2017 in Brisbane, Sydney and Melbourne, sponsored by Tourism New Zealand. Enjoy a New Zealand inspired lunch and discover the top 18 reasons to visit New Zealand in 2018. Book now to avoid missing your place at these sought-after events. Tourism New Zealand will showcase the ‘top 18 reasons to visit in 2018’ – from glaciers on the West Coast of the South Island to luxury holiday escapes in Northland. Guests will enjoy a New Zealand inspired two-course lunch paired with quality wines from New Zealand Winegrowers. In Sydney, highly acclaimed Kiwi Chef Justin North will be plating up some of NZ’s finest produce and sharing his top reasons to visit New Zealand. There will be live entertainment from New Zealand musician, Brendon Hui and the chance to win one of two amazing holidays in New Zealand. The number of Australians travelling to Fiji and frequency of trips there is predicted to grow well into 2018, an analysis of bookings data from the world’s leading hotel price comparison platform has revealed. Accommodation bookings in Fiji by Australian travellers on HotelsCombined.com.au, which attracted around five million hotel bookings in Australia and globally in 2016 alone, rose by 19 per cent from January to September this year compared with the same period last year. With bookings on the rise, so too are the number of nights Aussie travellers are spending in Fiji – the platform saw average nights increase by 15 per cent for the period measured (January-September 2017 compared with January-September 2016). It seems that not even the wet season can stop us from travelling to the destination. According to HotelsCombined.com.au’s data, January was the most popular month in terms of total number of bookings this year. The second most popular time of year to travel to Fiji is September, during mid-peak season, where temperatures average between 26-31 degrees Celsius, and rainfall is infrequent and generally only at night. Bunnik Tours partied on the Nile with 45 travel agents! 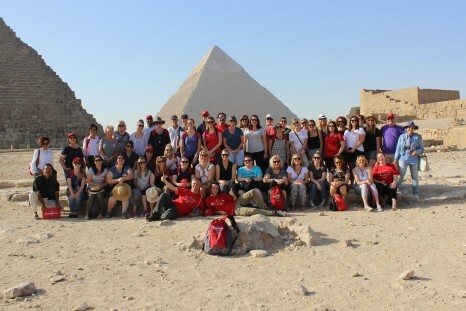 Marion, Sacha and Dennis Bunnik have recently returned from hosting 45 lucky agents on a 10-day mega famil to Egypt. And what a trip it was! Agents stood in awe at the sight of Egypt’s most famous monuments and were treated to a series of once-in-a-lifetime experiences. From a welcome dinner in a traditional chargrill restaurant overlooking Cairo, to a Middle Eastern feast on an island in the Nile and a rocking Galabeya party, they partied and experienced the best of Egypt. Touring across three buses, agents not only learned for themselves that Egypt is back but that the best way to see it is within the comfort of one of Bunnik’s small groups. Guided by their expert Egyptologists Moufid, Manal and Eman, the groups explored the Great Pyramids of Giza, the many varied temples of Aswan, Luxor, Edfu and Kom Ombo, coped through an early but ultimately cherished visit across the desert to Abu Simbel, and so much more. Sightseeing and parties aside, there was also an agent conference where Managing Director, Dennis Bunnik, recapped the events of the Egyptian Revolution. Within weeks of the revolution Bunnik Tours had restarted tours to Egypt, with Marion Bunnik travelling with tour groups and to this day, they continue to work promoting Egypt as a destination not-to-be-missed by Australian travellers. 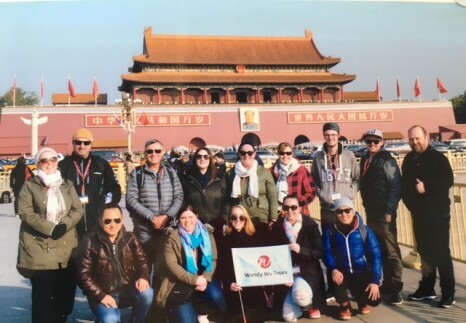 The highest selling FC agents for Wendy Wu Tours for Jan-Mar 2017 won an incentive famil – and are currently at Tiananmen Square, Beijing, China! The agents are loving it over there. Steven Wright, CEO of Australia’s leading leisure accommodation provider, BIG4 Holiday Parks, has been recognised as one of the nation’s most successful and innovative executives in a special awards ceremony in Melbourne. Wright, who has been CEO of BIG4 Holiday Parks for three years, was named as a finalist in the “Executive of the Year” for the hospitality and tourism industry at CEO Magazine’s 2017 Executive of the Year Awards, held overnight at a gala dinner at Crown Palladium. The nomination celebrates Wright’s excellence as CEO in 2017, a year in which BIG4 successfully implemented a new business model and franchise arrangements, relabelled all parks into distinct categories, opened up the BIG4 distribution platform to affiliate members, introduced a new quality based accreditation system and developed a bespoke senior executive leadership training program for BIG4 parks in partnership with the University of Queensland. He also oversaw the implementation of a number of major technological innovations in data analytics, distribution and consumer reviews. 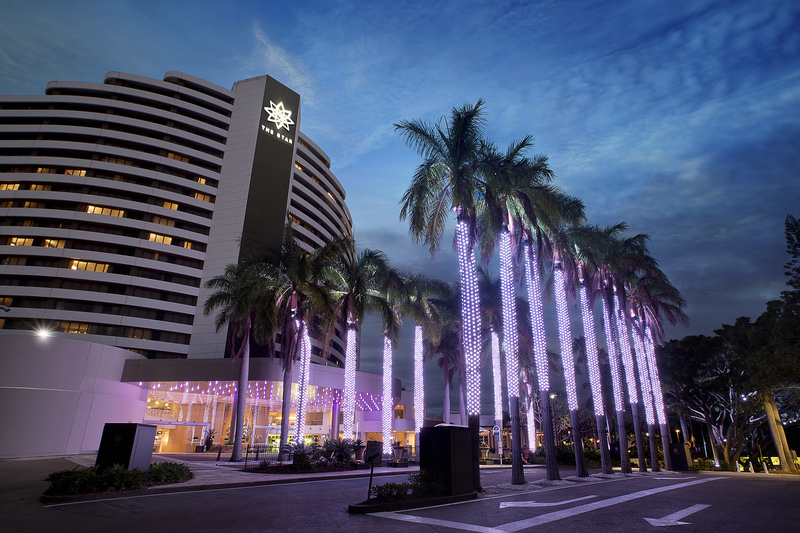 Perth’s six-star Crown Towers will host the biggest party in the history of Travellers Choice this weekend as members of the national network gather from across Australia to celebrate 40 years of success. The three-day Shareholders’ Conference will attract more than 160 agents from almost 100 agencies – a record turnout for the annual event – who will mark the group’s 40th anniversary with a spectacular Gala Dinner in the Crown Ballroom. It wouldn’t be a party without presents and agents will have the chance to win a raft of prizes from Travellers Choice’s partners, including international flights from Qantas and Air New Zealand, river cruises from Scenic, and a 10-day tour for two to China courtesy of the group’s newest preferred supplier TripADeal. Members will also give back by raising money for Love Your Sister, the cancer-battling charity Travellers Choice has had a strong bond with since founder, actor Samuel Johnson, spoke at the network’s Melbourne conference in 2015. You won’t want to miss this. Uniworld Boutique River Cruise Collection has returned their Best Offer Ever. Save up to 40% off select 2018 voyages when you book before 31 December 2017. Travellers can combine this unbeatable offer with the 10-day Enchanting Danube and Munich river cruise from Munich to Budapest and SAVE from $2,240 per person. This mix of iconic must-see destinations like Budapest, along with lesser known gems such as the magical Dürnstein, makes this the perfect itinerary for seasoned travellers and first-time cruisers alike, including 8-days of captivating escorted excursions, a 7-night river cruise in a riverview stateroom onboard the S.S Maria Theresa, all meals and beverages unlimited onboard and more! Priced from $3,359 pp twin-share (including discount), departing 16 March & 30 March 2018 (other 2018 departures available, price may vary). For more information call 1300 737 834 or visit uniworld.com. Your clients can now discover more of their own backyard and take advantage of AAT Kings 10% Early Bird Offer when they book any 2018 Australian guided holiday or Inspiring Journey before 27 November 2017 (subject to availability). 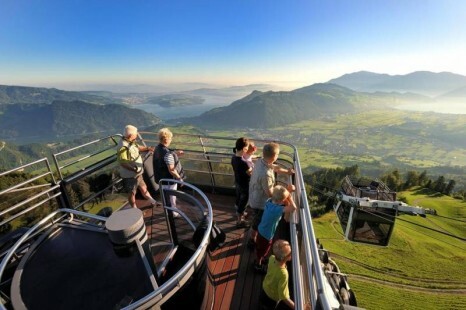 Guests can save up to $880 off per couple on AAT Kings 11-day Taste of Southern Australia Guided Holiday. Your clients will leave no stone unturned as they explore country Victoria, cosmopolitan Melbourne and the spectacular coast and delicious produce of Southern Australia. Travellers will meet local farmers, wine makers and whisky distillers, and indulge in their delectable produce while taking in stunning scenery on the Great Ocean Road, Kangaroo Island, the Adelaide Hills and the Barossa. This package includes an experienced Travel Director & Driver Guide, quality accommodation, travel in luxury coach, airport transfers, and more! Priced from $3,713 per person twin share (including Early Bird Offer) and available for departures between 1 April 2018 – 20 March 2019. For more information or to book call 1300 556 100 or visit aatkings.com * Conditions Apply. Book with Creative Cruising before 31 January 2018 and your clients will receive up to US $200 Onboard credit per stateroom when they book the 17 -night A Queen, Vineyards & The Desert- Rail and Sail cruise package. Travelling from Darwin to Sydney, this package includes 3-nights’ accommodation in Darwin, a full day tour of Kakadu National Park, a 2-night Train Journey onboard The Ghan from Darwin to Adelaide in Gold Service (all meals onboard the Ghan, off train excursions and outback experience) a 5-night Adelaide, Barossa & Kangaroo Island package including 4 nights in Adelaide & 1 night at Kangaroo Island, a 7-night cruise on-board Queen Elizabeth from Adelaide to Sydney, main meals and entertainment onboard, and more! Priced from $6,729*pp credit included, holiday starts 03 February 2018. *Conditions apply. Please visit www.creativecruising.com.au or phone 1300 362 599 for more information. 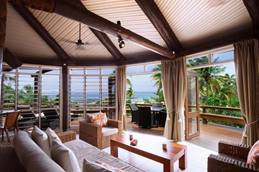 Has Airbnb reached tipping point?